" We try to do a good job for all of our clients. But rather than take our word for it, listen to what our Seller Clients say about us..."
"Mike has been so great in all the buying & selling experiences we have had. Mike is very knowledgeable and went above and beyond to make sure we understood every aspect of all our transactions. Mike works tirelessly day & night." "We loved working with Mike & wouldn't trust anyone else to help us buy or sell a home. We appreciate his honest opinion when looking at homes." "I have bought and sold homes and rental properties (5) with Mike Stum as my agent. Mike is there from start to finish with advice on preparing the property for sale, negotiating the sale and insuring a smooth settlement. I am so confident with his real estate savvy I have sent friends and family to him for help." "Thank you Mike for listing & selling our home so expeditiously. I appreciate that you are so attentive to detail. You took the worry out of all the "Legalize". Thank you so much." "Worked with Real Choice on the purchase & sale of real estate. Mike, our agent was very professional & very well prepared. Kept us apprised of how the transaction was progressing. Would highly recommend." “Mike was a tremendous help through the process, prior to listing our home, scheduling viewings, and explaining questions we had. He put our minds at ease making us comfortable. Mike gave us good advice on how to handle the certain situations as they came up. I would have no problem recommending Real Choice." and his suggestions that made it sell." "Mike was very professional through the whole process of selling our home and purchasing another one. He never once persuaded us either way when looking at homes. Mike's humor entertained us through many days of looking for our new home. I would definitely recommend him to anyone. We even became BFF's through it all." "Mike went above and beyond!! He was - is wonderful to deal with." Mike Stum and Real Choice Real Estate went above and beyond our expectations in the selling of our old home and the purchasing of our new home. When no homes were for sale in our desired neighborhood, Mike went door to door and spoke with homeowners to see if they were planning on selling their home in the future. He found a family looking to put their home on the market & three months later we moved into our new home in the desired neighborhood. I have never heard of an agent actually "pounding the pavement" for his customers, but I know now one does exist! Mike & Real Choice are professional, hardworking, punctual & knowledgeable. They will do whatever it takes to get your home sold & get you into your new home as soon as possible! Thank you! "Mike Stum exceeded our expectations and was a great pleasure to work with." "Very good to work with. Very knowledgable! Helpful throughout the process. "Dear Mike, As my realtor, you gave me what I call personal service from the day I met you when I signed the contract to sell my home in Willow Street, until after the settlement. I shall never forget you because you were always available by phone or in person. No one has given me such prompt and personal attention as you have done, even when you were on vacation. You made the entire process move so smoothly that I always felt I must be your special client. Your expertise in advertising as well as your photography talents are superb. The album you prepared to be shown to interested Buyers that you placed on my dining room table is filed with everything anyone would want to know about my house. It certainly is remarkable! Too bad I have no other property to sell, since without any doubt, you know the real estate business and the law. I will give your business card to anyone who expresses interest in talking with a realtor! Until we meet again, may God take care of you and your loved ones, and I pray that God will give you many clients to help as you have helped me! God's peace be with you now and always!" "Very satisfied. You always kept us informed if there were any observations on the properties being sold. We got the Homes Magazine showing the advertised properties. Everything went smoothly at settlements." "Our recent sale of our home with Mike Stum was a smooth and seamless operation. He went above and beyond making sure everything was just right fro the beginning to end. We highly recommend Mike to be the "real choice" for your real estate needs. Thank you!" "Since we were both selling our home and purchasing a new one, we needed a realtor who could handle both roles. Mike Stum was extremely knowledgeable of properties, localities, construction and mechanicals. He was proactive, prepared for each phase of the process of listing and selling our home, then purchasing our new one. Most importantly, Mike listened to our needs and he was accessible. He brought the highest standards and a bit of humor to a stressful but exciting time in our lives. 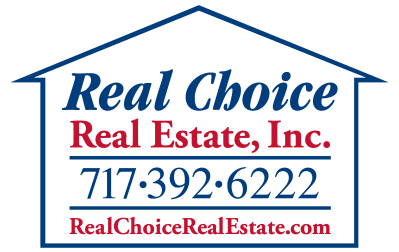 We highly recommend Mike Stum and Real Choice Real Estate." and let everyone know how I feel." "From the start of our home buying/selling process, Mike went above and beyond to make it an easy experience. His response to our questions and e-mails was always timely. His knowledge of real estate information is invaluable. And he even walked the dog when I couldn't get home for a showing!" "This was the second home Mike handled for us. As before Mike handled the sale with a high level of professionalism, knowledge and energy. We had to do little more than call him. He took care of all the details, paperwork, etc and made the whole sale easy." "Mike handled the sale of our property quite well. He kept us updated on all potential sales and negotiations with possible buyers, while handing the details in our best interest. It was a very care free property sale for us." "Mike Stum is one of the best Realtors I have ever worked with and I have been a mortgage professional for over 20 years. I highly recommend & would absolutely use him again." "Joe and I were completely satisfied and impressed with Mike Stum! He was always available when we needed him and very patient with us! He never hesitated to go above and beyond to help us out!" "Mike was outstanding! He went way above and beyond our dreams and expectations! He had our house sold in 5 days of listing. We can't say enough kind things - we highly recommend Real Choice to friends all the time." "Just wanted to thank you for selling our home. everything you guys did was excellent. Sorry for putting Kelly through so much. We would recommend Real Choice to anyone. Thanks again." "I was very pleased with Mike's professional attentiveness. He "heard" me and worked hard to accommodate my wishes in the sale of my home. It sold very quickly and smoothly. He looked after my interests. I felt I could trust him and I am glad I did. Kelly was easy to work with too & very pleasant." "This is the 3rd time I have used Real Choice Real Estate. Their reliability & service is second to none. I will continue to recommend them & use RCRE in the future." "Positive experience. Up front, honest, there were no surprises." "We were thrilled you sold our house so quickly in a tough market. Not only did you sell it once, but twice since we had two couples bidding. The one selected pulled out but you had the other buyer in with a contract immediately. It just proved you know your business and are good at it! I would recommend your realty company to anyone who is looking for an honest, reliable agent who gets the job done. Thanks Mike! "Mike gave us excellent advice as to how to prepare our property for sale, hence the property sold quickly. In fact, this is the second place that he sold for us." "We were extremely happy with the work Mike has done for us again! Also, Kelly is always a friendly helpful voice on the phone! They are the best!" "I feel you did an outstanding job in selling the house for David & I. Although the home market itself was not very kind to you, but I realize that is not something you can control. Mike, you were very efficient right from the start. I couldn't believe how you had the house on the market less than 24 hours after we signed the seller's contract with you. Especially when you took the time to prepare the Comparative Market Analysis, which looked to me to be a time consuming job, and you still had the For Sale sign out front in less than 24 hours. You were helpful with suggestions to help me to get the house ready for sale. And as for Kelly! That girl needs a raise! She is a great asset to the Real Choice office. Kelly is very knowledgeable at what she does, and her people skills are outstanding. She put my mind at ease many times when I was worried about something. Now that the house has sold, I do miss talking to her. Tell her to keep up the good work. Thanks to both for all your hard work... that goes to show how much you care about your clients. If I ever hear of anyone from this area who may be moving to the Lancaster area, I will surely hand them your business card. Again, Thanks to both of you." "I was always contacted before hand for a home inspection, and given the most information about the lookers and what they thought of my home." "Extremely satisfied. Your knowledge, expertise and trustworthy character made the entire process of selling my home a pleasant experience. Very rare qualities these days." "We felt very pleased with the whole process. Mike was very helpful and informative. Very professional and outgoing." "Working with the Real Choice Team is a pleasure thru a stressful time. They make buying/selling a home an unforgettable and joyous experience. Thanks." "As before, we were highly satisfied with the service we received. From the first moment we felt completely at ease with Mike. We knew from the start that he was working for us and had our best interest in mind." "I was extremely happy & satisfied with the service provided by Mike & Kelly at Real Choice. I would highly recommend them as #1 choice in Realtors." "I am extremely appreciative of the handling of the sale of our home. I was dealing with my husband's illness and death and Mike Stum relieved me of that burden of details pertaining to the sale." "Mike Stum is a professional. He is organized and committed to your best interests. We believe that Mike is a man of values, consistent with best traditions of Lancaster County. Mike Stum is our first and only choice when it comes to real estate." "Thank you Mike for selling our house so quick! We are so grateful to you and Kelly for all your hard work! We will recommend your services to anyone!" "When Mike represented us as buyers, he was tireless in his effort to find what we required. We found him to be just as tireless when he presented our house for sale. He did an outstanding job." "Mike & Kelly are great, very efficient, always available by phone or meetings quickly & professional. Fast sale & no problems. Thank you very much! (Sub note) Mike, Thank you very much for everything. Very nice to work with you." "You did more than I expected one to do, in running around to help with getting things done. Coming to our house and Mark's to see if things were right." "Mike sold our home in 1 week. As our 2nd time working w/Mike, we are confident of his skills to represent a buyer or seller. He is our #1 choice real estate agent." "I was extremely satisfied with the sale of my property, Mike Stum made it quick and easy for me as the seller." "Mike, we want to Thank You for the way you represented us in selling our first house and spending time showing us what is today our new home. God bless you, your family and Kelly." "Mike Stum did an outstanding job of representing the listing of my wife's mother's home. He was professional in every respect, was a person of integrity, and knew the market very well. Our house sold in one day, and had multiple offers, and closed without a problem. I would highly recommend Mike to anyone wishing to sell or purchase a home, and I say this as I am a licensed real estate broker in the state of Washington, and know quality when I see it." "We couldn't have asked for a more dedicated, patient, and professional realtor. You really went far beyond the call of duty! Thank you! "As usual Mike, you were wonderful to deal with on both ends of our transactions. Very organized, detail oriented and responsive to our questions. It was a pleasure. Highly recommend Real Choice & Kelly was great too!" "You did a great job selling my rental properties - over and above most realtors involvement". "Mike did an awesome job of helping us sell and buy our new home, both while being out of town!!! Mike it was a pleasure to work with you, we would recommend you to anyone!" "We enjoyed working with you. You worked very hard for us and went above & beyond for us. We liked working w/you when we bought our house so who else would we have used to sell too! Come to Harrisburg!" "We had our house listed w/Remax & we never heard from them. We decided not to sell. You came along and we "dared" you to sell for us. You did an outstanding job - Professional - hard working & honest and a real pleasure to work with. You are superb. Thank you. Good luck in the future - you are a winner." "I think you did a great job and very fast and easy to understand." "We were very happy with your service." "From day one we were very impressed with the service provided by Mike Stum. Always the professional, he was quick to respond to all our questions and concerns, both by phone and fax, and made the selling and buying of our new home an enjoyable experience. Throughout the buying and selling experience he kept us completely informed on all aspects of the real estate transaction (home inspections, financial, new listings, mortgage and loan referrals, and all the other pertinent details of the process). Most important, Mike placed our concerns and best interests ahead of his own. He quietly led us through the whole process, then stood back, and allowed us to make all the decisions. He was a friend instead of a commissioned sales person. We would whole heartedly recommend Mike to any of our friends or relatives. We would be assured that they would receive the same excellent service as we did. Thanks for your help!" Mike, you are a true REAL ESTATE professional! You not only surpassed our expectations in the sale of our property, but you went beyond the call of duty in every way. We are very pleased. "Mike, you did a Terrific Job representing our property and we were more than pleased." "We never had anyone work so hard or give so much time to do a job for us. You went beyond any of our expectations, giving fully of your time & efforts to sell our home. Thank you for your loving concern & a spectacular job in selling our home to a couple whom loved it as much as we did. God bless you Mike." "We were very pleased with the handling of the sale of our property. GOOD JOB." "Mike: It' s evident that you' re a hard worker. Also you came across to us as being honest. Those two qualities are key ingredients to a satisfied customer. Thanks again." "Bob and I were quite pleased with Mikes work, especially with our tenants & the other realtor. He did an excellent job as Power of Attorney especially with us being in Las Vegas." "I think you did an excellent job of selling the churches' property. You tried to get us the best offer and you did. Thanks again." "Since I' m living out-of-state, I put Mr. Mike Stum in sole charge of my property. I had implicit faith in him as I felt him to be trustworthy and dependable. He was always willing to go the extra mile. That meant a lot to me!" "Very satisfied. Patient, excellent service, above and beyond the call of duty! Due to my out of state status, help w/ the inspections was a great relief. And my mother loved her birthday card. Nice close!" real estate for many years." "Best realtor I ever had." "If you are looking for a true professional - Look no further. Mike Stum - simply the best." "Mike Stum is the most exemplary real estate agent that I have ever done business with. Simply put, Mike is the epitome of professionalism and an honest and hardworking man." "Ted & I were very pleased Mike, with the professional and organizational skills that were demonstrated in the sale of our house. We would certainly recommend you. Super Job! Thank you again." "You did an excellent job in helping me sell my property."